From now on every now and then we will create tutorial video’s for our Dutch dealers and consumers. We believe that information and music draws people to our products. We’ve been creating music and productvideo’s for a while now and we decided to add tutorials. We will start this initiative in the Dutch language because it’s a lot less time consuming for now, but if it turns out to be a success we will be adding subtitles or even English spoken video’s. The first video we did is, with winter knocking at the door, a video about humifiying your guitars to prevent cracks, for on thing. 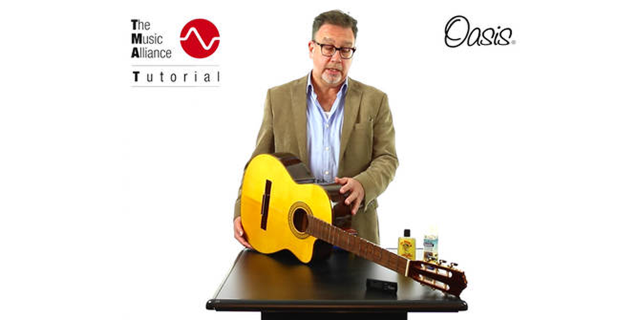 The man explaining this phenomenon is our own Ron Houben and in this example he uses an Oasis humidifier. TIP: Hoe voorkom je barsten in het bovenblad van je gitaar?